Princess Charlotte has had some big changes over the last week or so. She’s been newly relegated to “middle child” status in her family AND she’s just turned THREE! 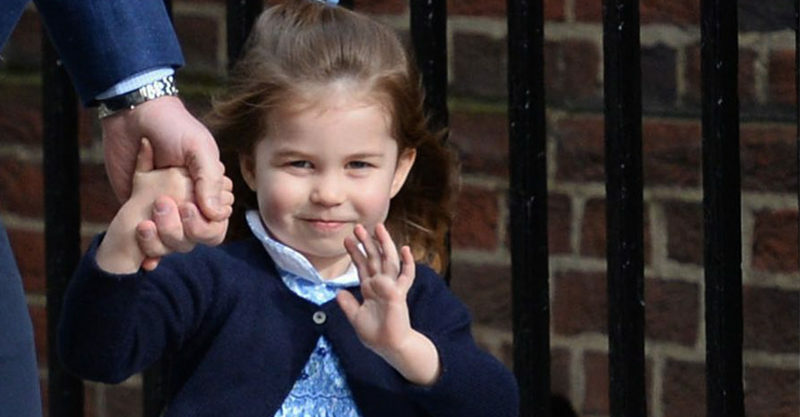 Wishing a happy third birthday to Princess Charlotte – thank you all for your lovely messages! Of course, Charlotte received an early life-sized gift, in the form of baby brother Louis and a brand new “big sister” role, but it seems she’s also celebrating her big day in some very normal preschooler ways. Charlotte’s great-grandmother, the Queen, and her grandpa and grandma, Charles and Camilla, popped in on the Cambridges to wish the three-year-old well. It was their first opportunity to meet little Prince Louis, too, the Queen arriving via helicopter with a posy of hand-picked flowers (possibly for Kate, but maybe for birthday girl Charlotte!). It’s possible that pizza and pasta were on the menu for Charlotte’s birthday dinner, with Kate telling royal watchers they’re tip-top of the little Princess’s favourite foodie picks. While some were disappointed there was no official portrait for Charlotte’s third birthday, it’s actually a brilliant development. Firstly, Kate usually photographs her children for these intimate portraits, ensuring they’re natural and not too “pose-y”. Secondly, Charlotte made a very high-profile appearance with Prince George last week, appearing on camera as the royal siblings popped into the Lindo Wing to meet their new baby brother. Thirdly, we’ll be seeing Charlotte again soon enough, as Prince Harry and Meghan Markle marry later this month. The royals have guarded their children’s privacy fiercely thus far, and it’s obvious they’re keen to avoid Charlotte being trotted out TOO much at such a tender age. We could not love them more for it. So what did Charlotte get for her birthday, apart from some kinder cake and a possible posy? It’s hard to know. Based on what Prince William and Duchess Kate have revealed in snippets of conversation during royal engagements, we’re guessing that presents involving Peppa Pig, horses, tennis and dancing were on the little royal’s Wishlist. Insiders have described Charlotte as “so polite, but also fun and energetic” with “beautiful manners” and “very sweet and very confident – always chatting away”. She certainly proved herself to be all these things when she gave the world a wave last week.